People who traveled to Taiwan's scenic Taitung County looking for an escape over the holidays were not alone. The beautiful southeastern county saw over 1.5 million visitors during the 9-day Lunar New Year holiday. Taitung features lovely coastlines, scenic mountains, and a slow pace of life. But an influx of nearly 580,000 cars during the holiday meant slow traffic as well, along Provincial Highway No. 9. 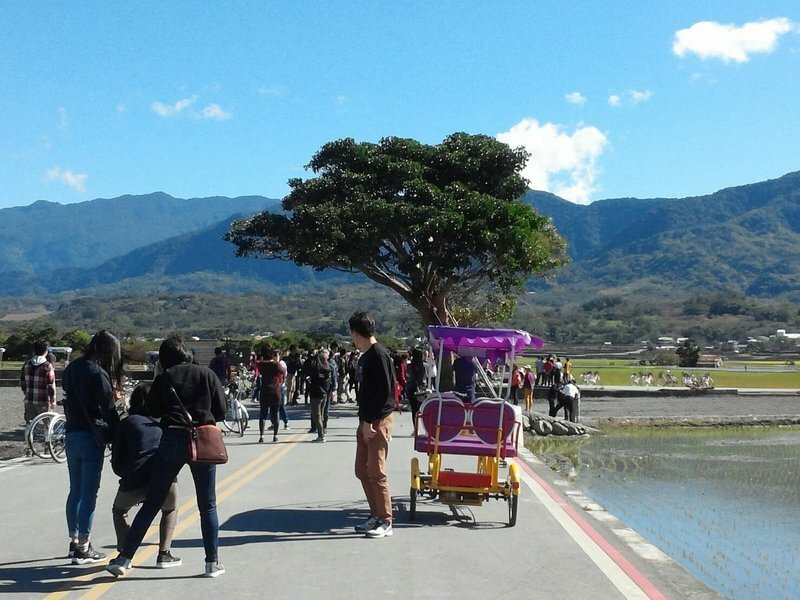 Some of the most crowded attractions were the tree where actor Takeshi Kaneshiro shot a commercial, a stream where water flows upward, rock formations known as Sansiantai, Chu Lu Ranch, and Taitung Forest Park.